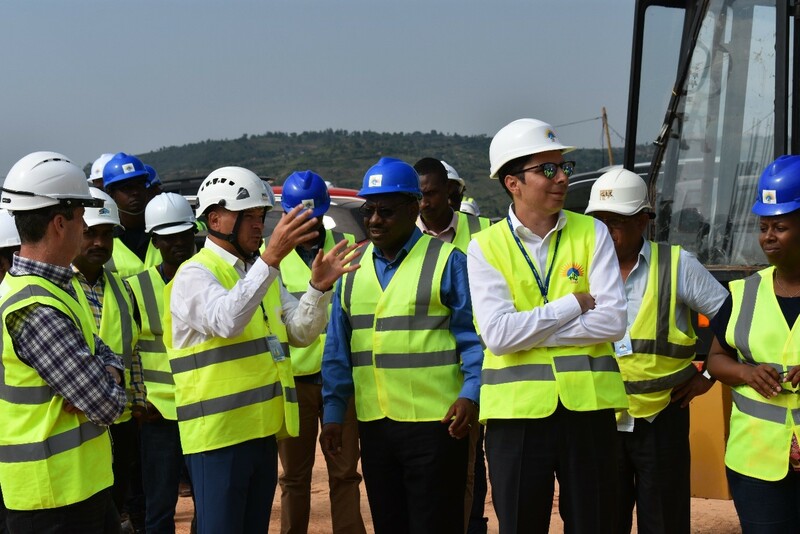 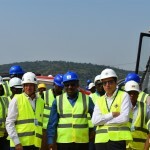 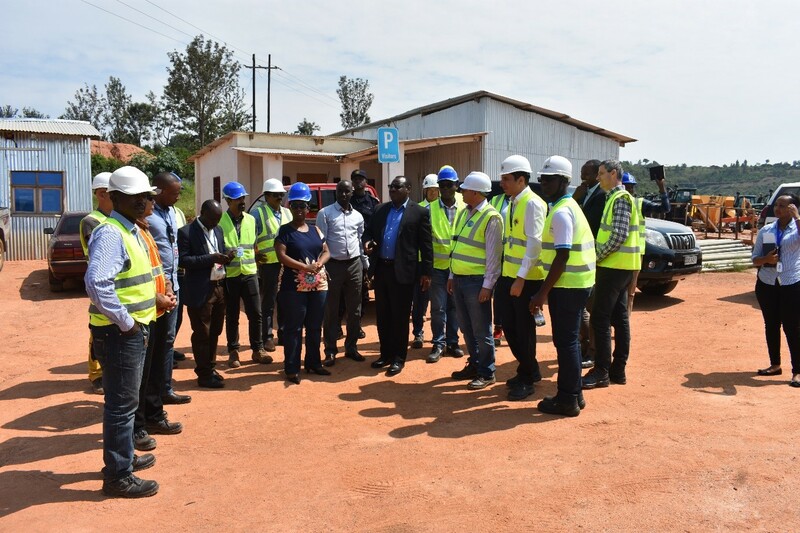 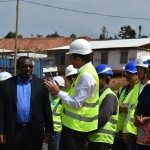 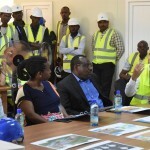 The Minister of Infrastructure and State Minister of Water and Sanitation visit HQ Power Project .The visit took Place at Kabumbwe Cell, Mamba Sector, and Gisagara District in the Southern Province of Rwanda where the Project Construction works are ongoing. 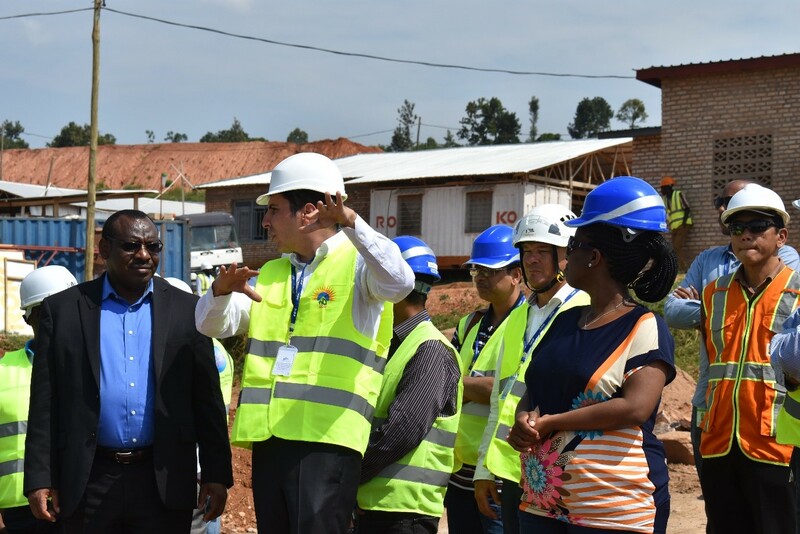 The delegation comprised of the Honorable Minister of Infrastructure Amb.Claver GATETE and his team, State Minister of energy and Water Sanitation Mrs. Germaine KAMAYIRESE and her team, Rwanda Energy Group Limited(REG) team, The Water and Sanitation Corporation (WASAC) team and Rwanda Transport Development Agency team. 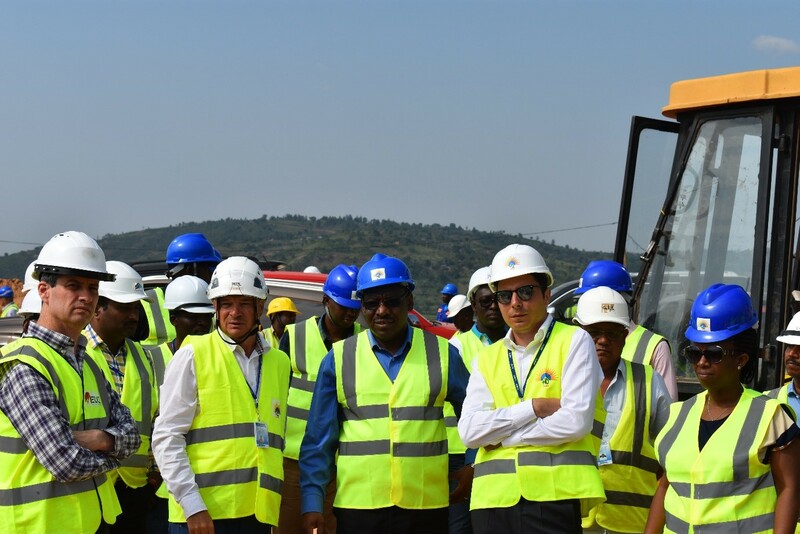 The visitors were received at the site by the HQ Power managerial team headed by Mr. Hakan KARASOY (Chief Executive Officer). 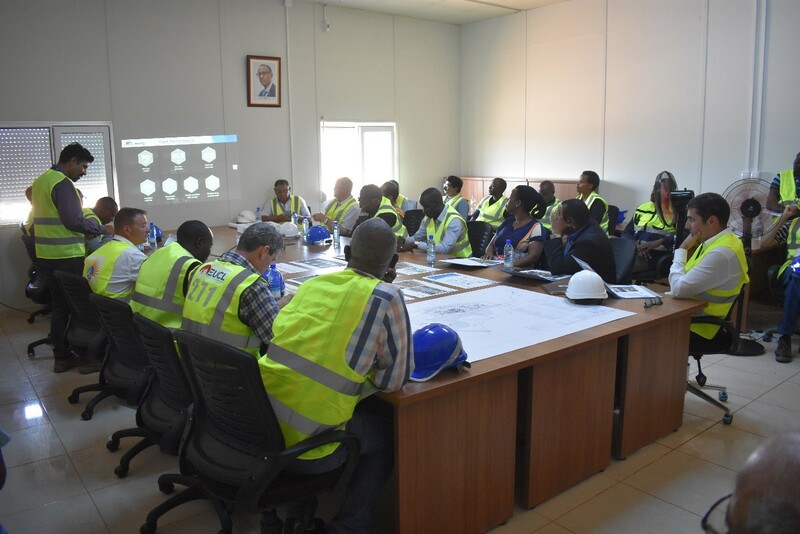 The Visitors proceeded to the site office where the presentation was given by Mr. Gaurav Bhasin (Project Director – SP EPC) on progress of works of the project and discussed to the timelines and requirement of resources such as start-up power, water for construction and roads for consignment movements. 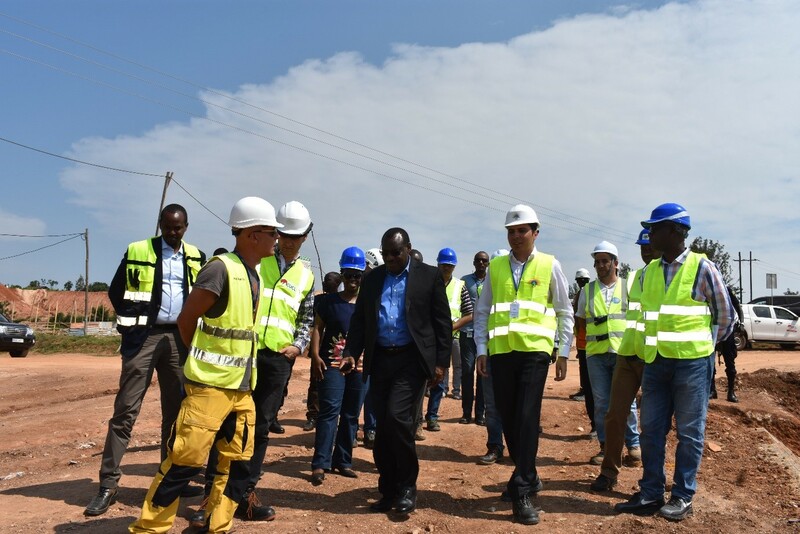 The team was given a brief Health, Safety and Environment orientation and then proceeded towards to the site where Mr. Hakan KARASOY (CEO) and Jussi NAKARI (Project Director) explained about the ongoing activities at site and progress. 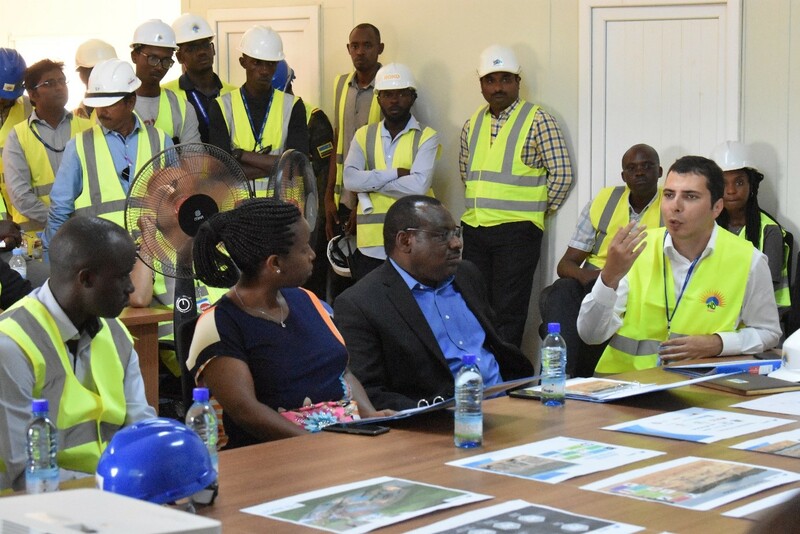 Minister of Infrastructure Amb. 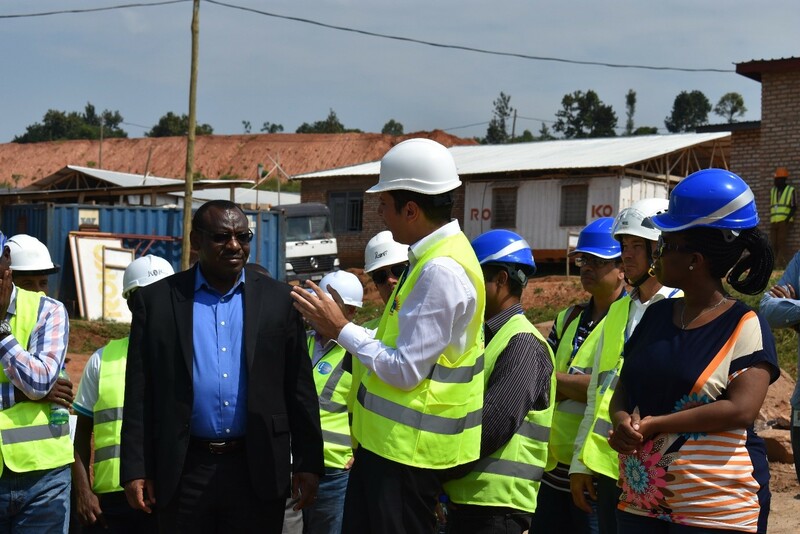 Claver GATETE on the left, Mr. Hakan KARASOY (CEO)in the middle and State Minister of Energy and Water Sanitation Mrs. Germaine KAMAYIRESE on the right. 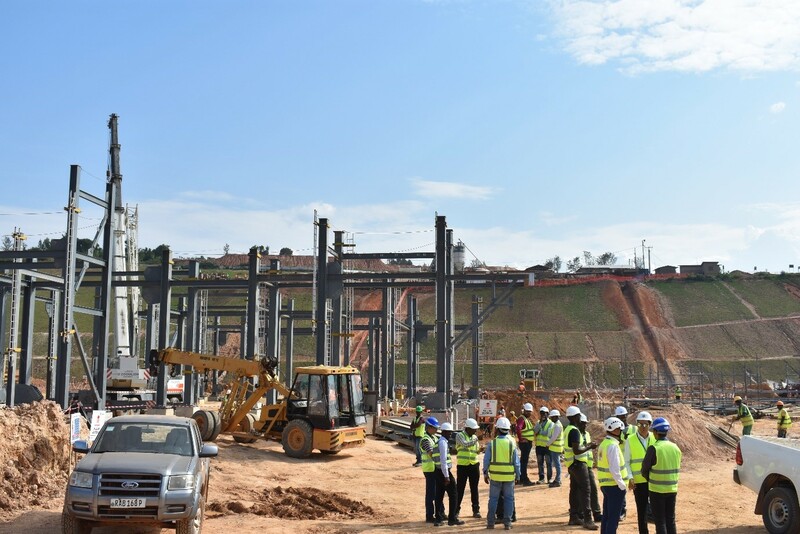 After visiting the construction activities at site, Minister of Infrastructure Amb.Claver GATETE appreciated the progress of the work of the first Peat to Power Plant in Rwanda. 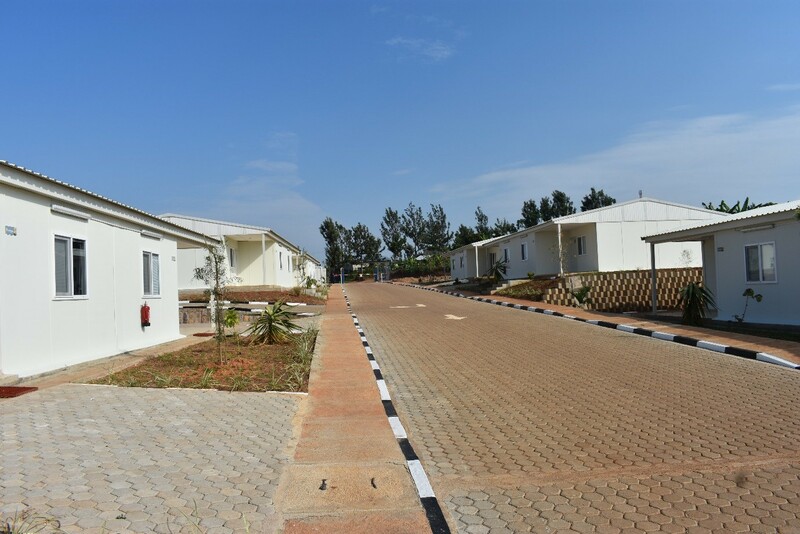 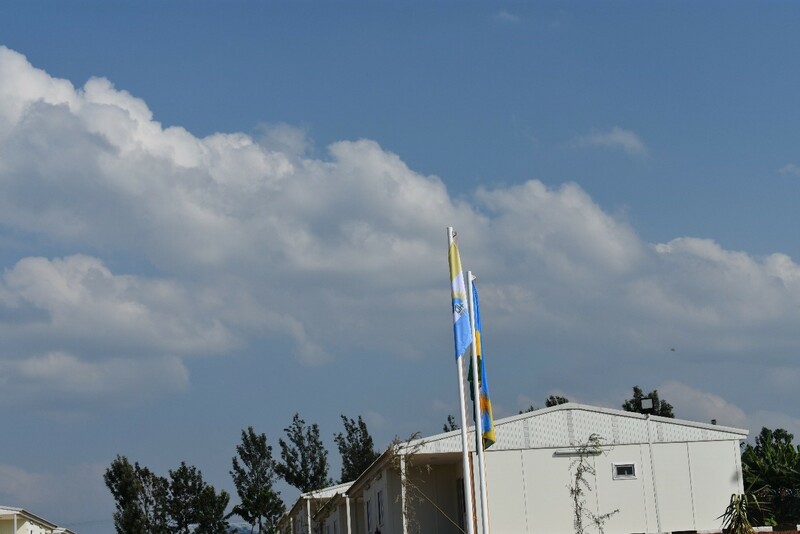 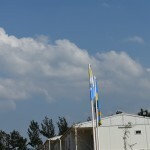 The Visitors moved to the Residential Compound for refreshments and lunch.